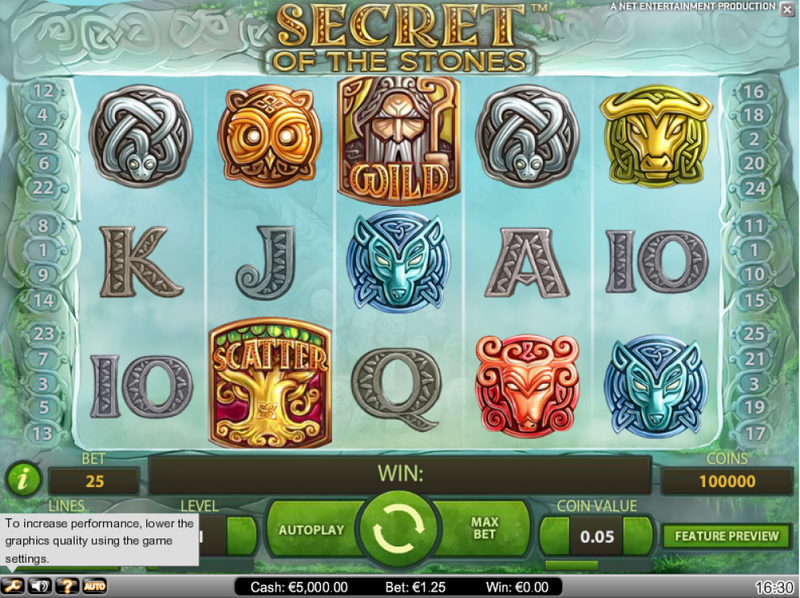 Ancient Druid fans have an all new online slots game from NetEnt. 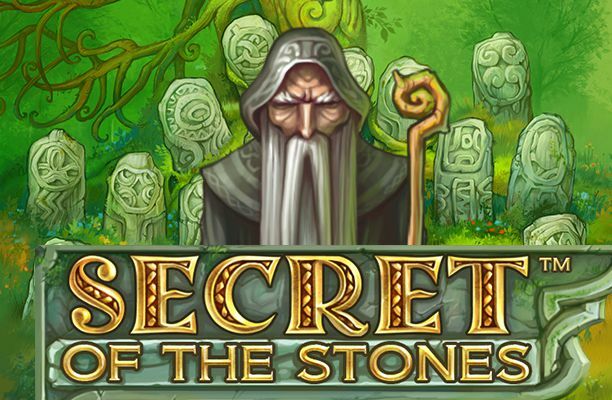 Discover the mystic power behind something as simple as a collection of rocks in this appropriately titled slot from the minds over at online slot juggernaut NetEnt, the appropriately titled: Secret of the Stones. Druids are known the world over for being generally quite secretive in how they go about their everyday business, well here that trend continues. This 5 reel slot is played over 25 winning lines and 3 rows, making it a very simple looking slot that shares a lot of similarities — gameplay wise — to other games in the market currently. What’s different here is the attention to detail and the immersive nature in which players will find themselves in with every spin of the reels. This is a 3D slot that is chocked full of entertaining visually stimulating graphics, all of which help create that sense of immersion that you wont find necessarily in your run of the mill cash grab slots out there (and let’s face it, there is a lot of them out there!). Secret of the Stones can be played on both Mac and Windows devices, making it very accessible for all to enjoy! play casino slots online now. If you'd like to learn more about the Developers other rang of games here at Easy Slots online casino you can visit the site here. 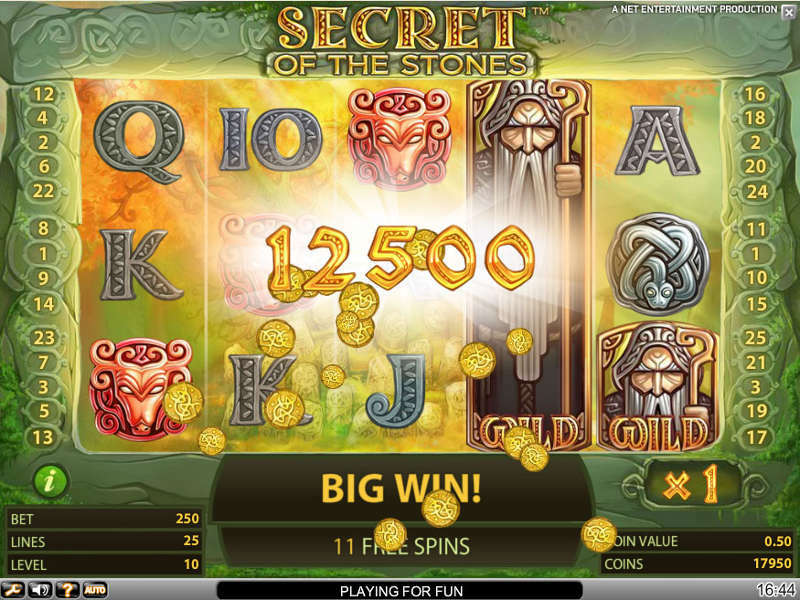 Players can choose between 1-25 pay-lines with each spin in Secret of the Stones. This allows players to experiment with each spin, this allows players to fully experience this title, after all you want to know your footing before you make that next strong step. Coins values on each of the reels can differ depending on the numerical value one can place on the reels. The higher you wager the more potential there is at higher pay-outs. There is also a bet max button which does what it says on the tin. Hitting this button will automatically cause the reels to spin. There is also an auto-play feature here which also is rather self-explanatory. Simply select how many games you’d like the game to play for you and the amount you wish to place on each spin and watch as the money begins automatically pouring in. On-top of this you also have wilds, scatters and free spins which all operate in the same way they do in other online slots from NetEnt. Be sure to keep your eye out for these symbols and features as they will increase your base score exponentially. Just how secretive can stones be? Quite secretive if you play Secret of the Stones that’s for sure! There is a lot more than meets the eye here which can be said about a lot of other titles in the NetEnt catalogue of games, all of which share a common trait of being widely enjoyable and widely played from a lot of different types of players worldwide. These titles are culture breaking in a sense where they see fit to be accessible to anyone and everyone who simply enjoys the craft of online gaming. Play Secret of the Stones today! You can discover more popular online slot.